Manuel Castells, the fifth most highly cited social scientist and the most highly cited communications scholar, has weighed in on the Egyptian revolution–and it is not, I think, his best work. Egypt is featured in just one chapter of his new book Networks of Outrage and Hope, which also includes chapters on Tunisia and the Arab Spring generally, as well as Iceland, Spain and the US. While Castells is most famous for his The Information Age trilogy, this new book is based on his more recent Communication Power (2009). Indeed, the first part of the book offers a good precis of that earlier work. Contemporary social movements have an online and an offline dimension. This off-line collective action takes the form of occupying public spaces like Tahrir Square. It creates a public sphere for deliberation and sovereign assemblies. There are several things that I did not like about this text. On the one hand, its theoretical foundation is very weak. Castells sometimes gives the impression he is making this up as he goes along, brilliantly inventing new concepts to explain a brave new world. There are references to Giddens and Habermas and a few others whose work he explored in detail a decade ago, but when he refers to a social movement as “rhizomatic” he not only does not cite Guattari and Deleuze (1980) but cites a Wikipedia article on actual botanical rhizomes (instead of, say, the Wikipedia article on the concept in social theory). And, of course, as an anthropologist the lack of empirical data drove me crazy. I kept wanting to shout at the author, “But what about…” Alas, books are not interactive media. To be fair, Castells insists that he is merely offering hypotheses for discussion, because it is too early to draw conclusions. This also lets him off the pesky problem of offering much in the way of empirical grounds for his conclusions. Yet given his stature, the book is sure to offer an intellectual support for those touting the hyperbolic ideology that the mere existence of Web 2.0 somehow magically produces resistance, social movements and, ultimately, freedom. is self-communication because the production of the message is autonomously decided by the sender, the designation of the receiver is self-directed and the retrieval of messages from the networks of communication is self-selected. Mass self-communication is based on horizontal networks of interactive communication that, by and large, are difficult to control by governments and corporations. … Mass self-communication provides the technological platform for the construction of the autonomy of the social actor, be it individual or collective, vis-à-vis the institutions of society. This is why governments are afraid of the Internet, and this is why corporations have a love-hate relationship with it and are trying to extract profits while limiting its potential for freedom (for instance, by controlling file sharing or open source networks). In the end, though, this concept just become yoked to an overly rosy, one-sided picture of how the technology inevitably generates resistance and enables social movements which I find both theoretically bankrupt and empirically unsupportable. Castells, Manuel. 1996. 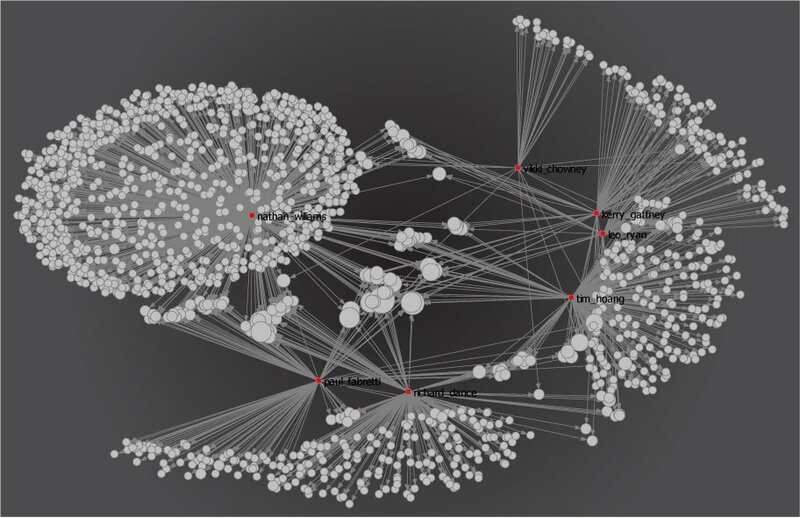 The Rise of the Network Society, The Information Age: Economy, Society and Culture Vol. I. Cambridge, MA; Oxford, UK: Blackwell. —–. 1997. The Power of Identity, The Information Age: Economy, Society and Culture Vol. II. Cambridge, MA; Oxford, UK: Blackwell. —–. 1998. End of Millennium, The Information Age: Economy, Society and Culture Vol. III. Cambridge, MA; Oxford, UK: Blackwell. —–. 2012. Networks of Outrage and Hope: Social Movements in the Internet Age. Cambridge, MA: Polity Press. Deleuze, Gilles and Félix Guattari. 1980. A Thousand Plateaus. London and New York: Continuum. Gerbaudo Paul. 2012. Tweets and the Streets: Social Media and Contemporary Activism. London: Pluto Press. Huh. This doesn’t surprise me, that he doesn’t offer anything new here. Nevertheless, I’ll probably read it–if for no other reason than that I haven’t read Communication Power, so this will be a way to follow where he’s been going. And, IMHO, the lack of empirical data has always been the major fault with Castells’s work–his concepts are great, but I’ve never been able to root them very fully in the actual cases I’ve worked on. That’s not a total indictment, but it’s a sign of the limits of what he can offer.